In 1829 he was elected a member of the Académie française. He worked for the French embassy in Italy from 1825 to 1828. He takes the child from its mother’s arms and parts with him only at the grave. 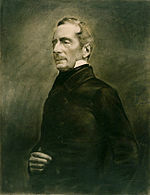 maʁ'tin] ; 21 October 1790 – 28 February 1869) was a French writer poet and politician who was instrumental in the foundation of the Second Republic. la. də.